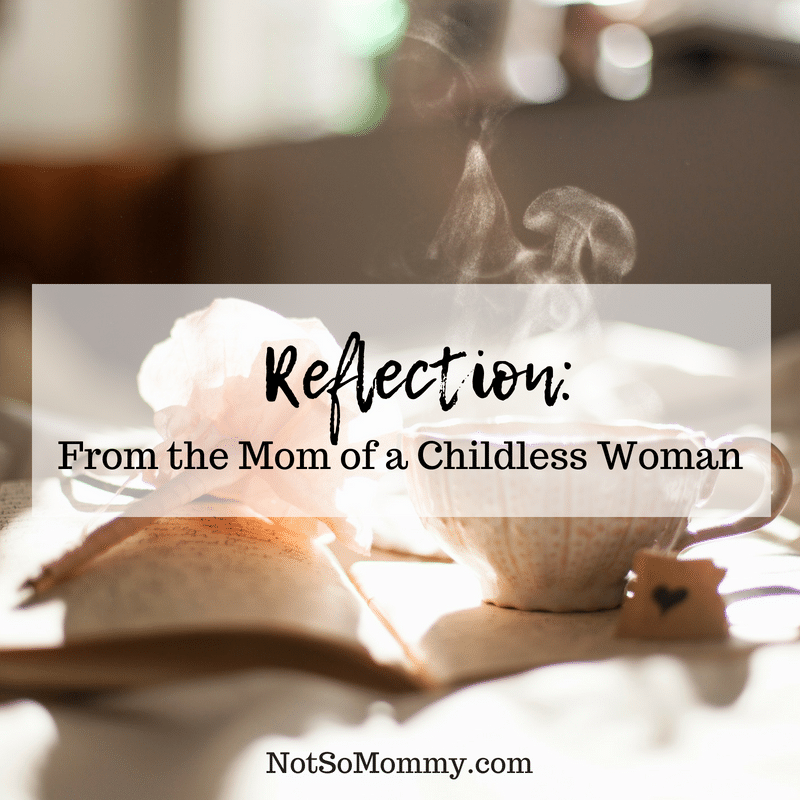 About one month after I began blogging, my Mom asked if she could write a post for Not So Mommy… It was beautiful and eloquent, just like her. If you’d like to read it, click here. My Mom’s Reflection . . . When you are young, you recall hearing your “elders” say, “Where has the time gone?” Now, I am an elder and am finding myself saying that very thing. Has it already been a year since my daughter started her new career with Not So Mommy….? 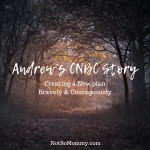 It sure has, and as a mom of a CNBC daughter, I find myself reflecting on this past year. I am infinitely proud that Brandi stepped out of her comfort zone and began this new endeavor. Each time I read a new blog post, I learn. 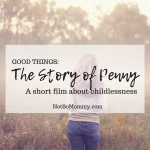 Even though I thought I knew what she experienced in her infertility journey, I wasn’t even close. Each new post helped me understand where she was, and where she is now. I did not understand endometriosis, and I feel guilt for not having noticed the symptoms sooner and helped her get help. Now, her sharing will aid others find that understanding and help sooner. I did not fully realize the pain of the dreaded drugs taken, nor the toll they took on both her and her husband. When I read of that awful day after Christmas when it all came crashing to an end, I wish I had been there to hold and comfort, but it was she and her husband’s private hell that they had to navigate together. And navigate they did! Reading comments from the various blog articles brings home the power of the written word. 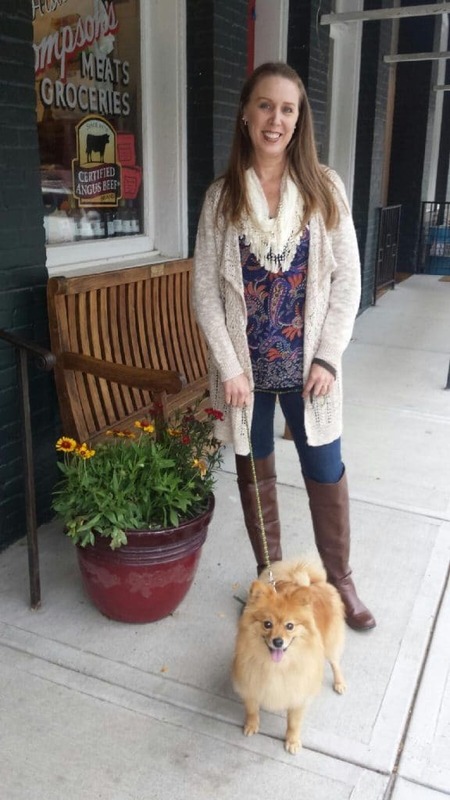 The community she has become an integral part of is far reaching and so eager for validation. When kind words of encouragement are received, one can almost feel the collective sigh of relief and healing. I am blessed to be a part of this community. The victory achieved when reaching the end of pain and disappointment is huge. I see it each time I read a new article and feel the joyful and peaceful spirit emanating from within, through written words. This is the purpose of her mission, and I feel she has fulfilled her purpose so very much in one year. I eagerly anticipate the future. Oh, the places you’ll go! That is what I LOVE about our Not So Mommy… community. 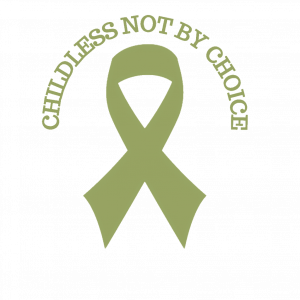 It is for ALL who want to stand together in support of Childless Not By Choice Awareness. And like my Mom, I eagerly anticipate the future, as well! Oh, the places WE’LL go! To learn more about the symbolism of our tribe’s olive green ribbon, click here.